PAX East 2016 was a colossal event, showcasing more than 100 exhibits from well-known developers like Sony, Microsoft and Bethesda to lesser-known devs like Tiny Build, Adult Swim Games and Killbright. In my tour of the gaming at the expo, I was exposed to unfamiliar games, which I found became familiar very quickly. Upon entering the venue at the Boston Convention and Exhibition Center, I quickly realized this wasn’t anything like your normal con. Of course, you had your classic “I need to cosplay at every convention” type of attendants, but most everyone was there to game. PAX East 2016 was my first gaming convention and it honestly left quite the impression. I have never been to a con where I get first dibs to play unreleased games from the creators themselves. I knew there were going to be a few important games I needed to play and learned the lay of the land very quickly. Although my urge was to get in line now or I wouldn't get to play Overwatch, I took a calmer approach. I'll walk you through my experience. Upon entering PAX, I intuitively gravitated to the Sony booth, which took up a big chunk of the floor in the gaming area. Killing Floor 2 was a completely new experience to me, as I have never played the first Killing Floor. After a few tries, I became familiar with the design and the classic zombie swarm-playing mechanic. The game was made by developer Tripwire and highly resembles an Xbox 360 classic, Left 4 Dead. The premise seemed quite simple: Survive hordes of zombies each round to make it to the next level. You are offered the opportunity to choose between different types of characters that have specific traits and abilities that will prove to be helpful in extended play. A few of the different choices in character tyoes are medical, beater and defense . 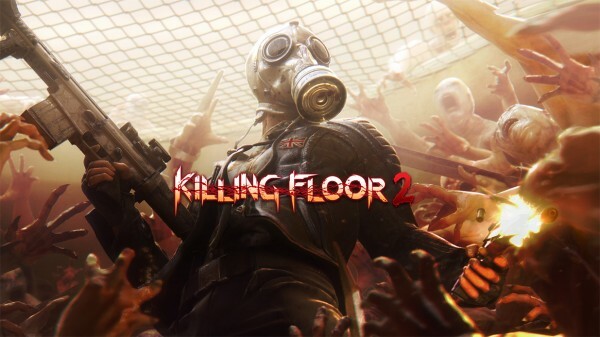 Killing Floor 2 also lets you play the game in a 6-player co-op mode, and with all of the different character options, the game could feel like a mini-raid when you have linked up with a full group of players. The gameplay was pretty chalky, but good at the same time, and the controls felt just like I was playing Left 4 Dead, but on the PS4. An aspect I didn’t appreciate about the game was how slow my character was. I understand it is supposed to be a challenge to survive an apocalyptic setting with hordes of zombies chasing after you, but you can’t escape anything without having good mobility. Additionally, I wasn’t offered a good arsenal of defense. The game is set up so you can upgrade your weapons or trinkets as you survive each round, so you would technically have to get through a few rounds before you find that the hordes are manageable in solo-player mode. I enjoyed the game and I feel it’s something I could play to kill some time here and there. It’s a quick pick-up and easy to get hooked. Next, I made my way through Sony’s panel only to find they also had Unchartered 4 set up on multiple units. Right before entering the nearly 20-foot line, I glanced over to see that King of Fighters XIV had only a few people waiting to play. I changed direction and waited patiently for my turn to be a King of Fighters myself. The first thing I noticed about the game was the design; The franchise had finally caught up to next-gen console gaming and was quite aesthetically pleasing. The game features 3D models on a 2D side-scrolling back setting, much like The King of Fighters: Maximum Impact game, which gave it that retro fighting game feel I was looking for. However, looks weren’t the only thing that drew me into this game, the gameplay itself was flawlessly smooth. 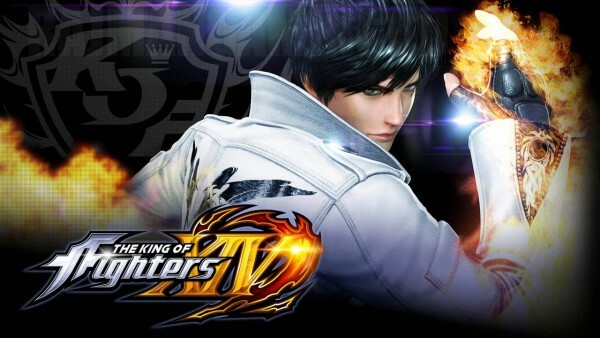 Take into account that I am huge Marvel vs Capcom gamer and have brushed up on the Street Fighter games throughout my life, but I have always felt that King of Fighters was a very stiff game in terms of movability and flexibility. This new version of KOF removed all preconceived notions of how it would run and, ultimately, I played very well. I like to think the developers finally got the message. The game itself is super fun to play, and is actually said to have a roster of more than 45 characters on release. In VS mode, you are allowed to choose up to three characters to battle, which removes the whole “rounds” aspect of the fighting -- a playstyle most fighting games have adopted throughout the course of time. Finally, this isn’t a game where you can spam moves for too long and win your match. The button combinations are strategic and most characters require training with to fully master their moveset. Although this doesn’t mean you aren’t able to pick-up the game and win using button combos from other units like MVC or SF. They’re all pretty similar. Adeptly avoiding Uncharted 4’s deathly long line, and finding Sony’s virtual reality section was booked for the day, I encountered a row of gaming PC’s with Xbox remotes calling my name. Across the row, I came across a huge RWBY poster. Next to it was this beautiful gem set up. 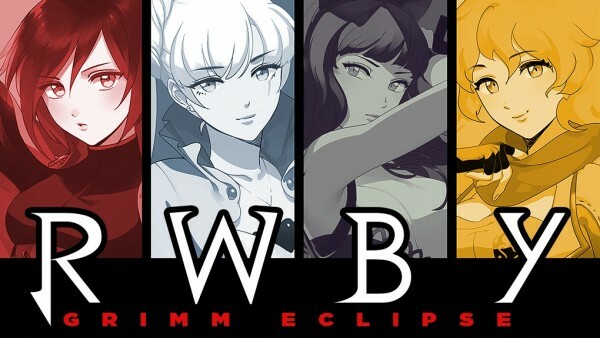 I couldn’t believe it -- a RWBY game? Already? This soon? I decided: Let's play the hell out of this game. As soon as I pressed Start, I was transported into the world of RWBY. I chose to play with Yen, because in terms of combat, I think she’s one of the strongest characters. Plus, she just might be my favorite, right after Pyrrha Nikos. 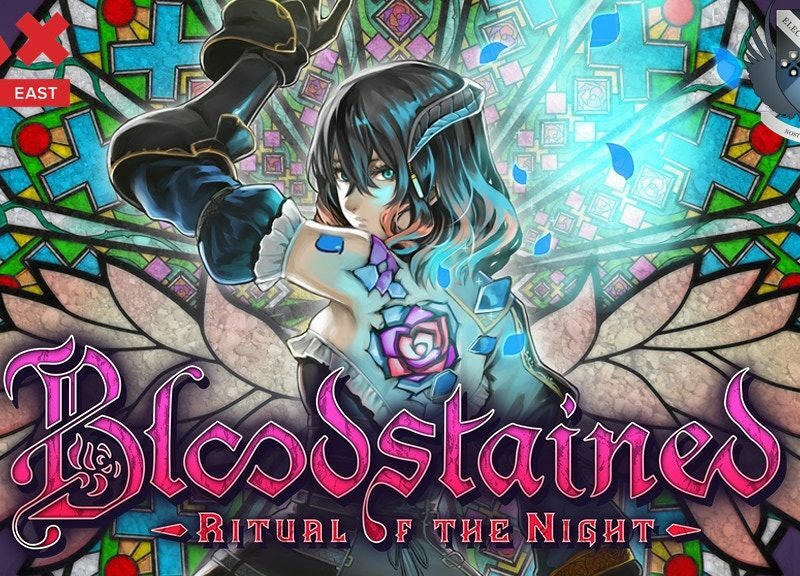 The playstyle felt like someone took Devil May Cry, Dynasty Warriors, the RWBY Anime, Batman Arkham Asylum and Bleach: Soul Resurrection and made a giant video game smoothie. 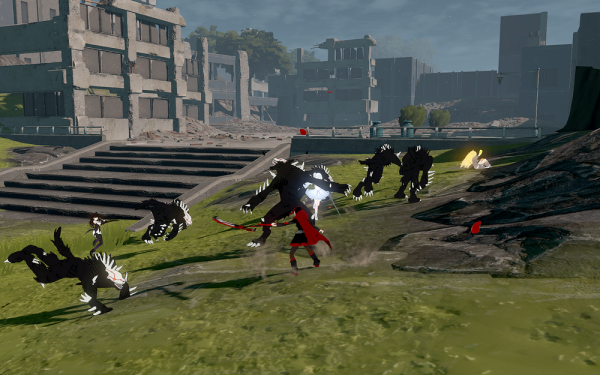 Yes, it is indeed a hack-and-slash, and I love it. For those who love the anime, it’s a great game to play. And for those who aren’t that into it, I believe it still offers an array of components that anyone can jump right in to. The fighting is quite intuitive and you are able to use different button combinations and super attacks to help you clear each wave of enemies. Although the game is still in development, and graphically it could be better, I am happy that it even exists. This goes to show you the amount of dedication and the crazy following RWBY has. The people who are a part of the franchise strongly believe in its success and support the fans by continuing to produce amazing content. I was able to meet with a few of the guys behind this incredible creation and discuss the various struggles and challenges one would face during the games' initial creation. 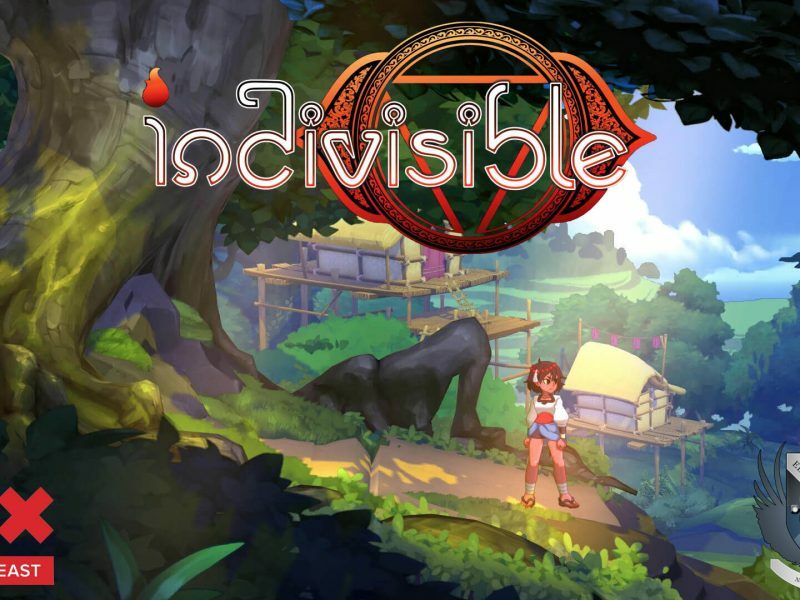 Lead developer Abe Robertson said, “A game like this was definitely a challenge to make with a small team, it’s something that would normally call for a team of like 30 people to help it come to life but we were able to do it with 5.” That's an admirable feat, to say the least. The game is everything a fan of the anime would want. 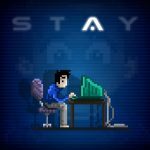 The developers also mentioned they hope that once the full version is released on Steam, talk of a console version would hopefully follow. However, a console version of the game has yet to be fully confirmed. A fan can dream. I made my way back to Sony’s booth to see if the Uncharted line had gotten shorter. Wishful thinking. So I eventually landed on a PlayStation unit showcasing Kill Strain. Although it had an interesting story and gameplay outline, the actual gameplay was just something I didn’t find enticing. The strategy behind the game was cool, but it didn’t play as the devs probably intended. It’s an 8-man face off, with 4-man teams separated by bases. Every character has its own special abilities and gets to choose a mutant. Also, while you are worrying about battling the other team, there is a team of mutants trying to convert the rest of the players in-game. Your goal is to either destroy the other human base or destroy the mutant base. Kill Strain very much feels like a Metal Slug-meets-Titanfall combination. Your character acquires points by killing enemies and completing in-game objectives, which fill up a special bar that ultimately lets you summon a mobile suit for your character to dominate the playing field. 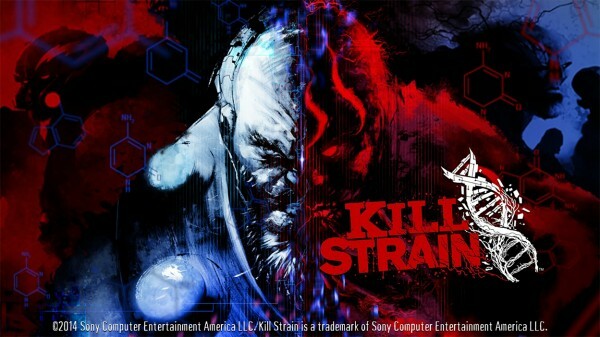 Graphically, I thought Kill Strain was lacking and could have had more bells and whistles. Systemwise, they could be using more of PS4’s awesome capabilities. Most of the time, the game felt like something you would find in the PS3 Marketplace for free -- I never knew when I was shooting my opponent on target or when I was getting hit until my character was utterly destroyed. 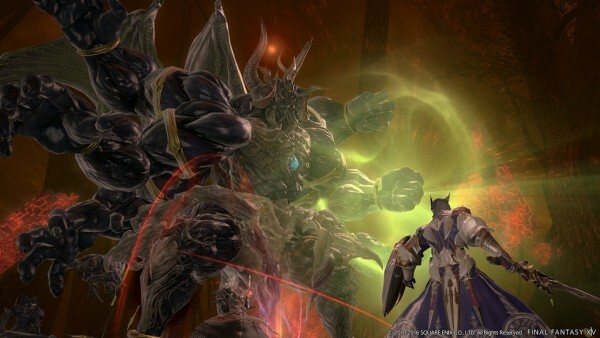 I bolted to the Square Enix panel to play the Final Fantasy 14: Sephirot Battle Challenge. How did I jump into that game without waiting in any lines? Well, I had a friend who was saving a spot for me. I was so excited to get my hands on a unit and play the 8-man battle against Sephirot that I didn’t bother to notice my parade was about to be completely rained on --- Square had set up the game only on PC’s. I am by no means a PC gamer, I take pride in console gaming and only got into playing MMO’s when games like DC Universe Online and Final Fantasy Online became available on the PlayStation. So I was in for quite a treat: Playing through the boss battle on a mouse and keyboard while wishing for a PS4 and controller. The fight went pretty well until we got Sephirot to half-life, then things began taking a turn for the worse as my team of eight dwindled to a team of four. As for me, I was the second person to be sent to the nethers due to my inexperience with keyboard gaming. In the end, we weren’t able to beat Sephirot and didn’t get the free in-game loot and a T-shirt Square was giving away to the lucky victors -- a sad reality for not understanding the dynamics of PC gaming. But I still got to play the Sephirot challenge. Finally, I made it to Overwatch, a game completely worth the half-hour wait in line. Before playing the game, I knew one thing was certain: It was designed to be action-packed and fueled with beautiful gameplay. And it delivered just that. I loved every second I had with this title. It reminded me of TF2, but with an easier mobility pattern, making the game new-user-friendly. It’s a first-person shooter with an attitude. 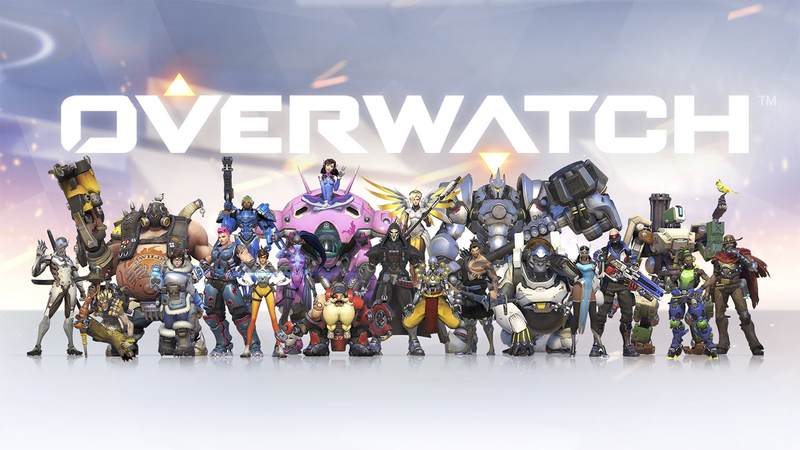 Overwatch is one of the only first-person shooters I’ve ever played that feels like a mixture between a class-based shooter and an MOBA. Every character has his own special ability and traits with set weapons that are not interchangeable. And not every character is a full-blown DPS. You have Tanks, DPS’s and characters like Mercy (my favorite), which is a support character who gives buffs, heals and revives your other teammates. An FPS game model focused on character roles makes for a well-rounded collaborative shooter and removes the Call of Duty ideal that proclaims “I’m a one man wolf pack, so I’m gonna go fight in the front lines by myself.” No one likes the guy who’s always trying to be the hero. Throughout my time playing, I mostly gravitated to Mercy, the healer support character. My main goal was to keep my team healthy and provide buffs and revives whenever possible, all while collecting as many points as I could for score and for my special bar. Although I’m not really used to being the support type, it’s nice that even the healers in the game have a secondary weapon, which causes DPS damage on any enemy, a trait that saved me from a few tight situations. I was able only to play two rounds before being done and, in the end, I feel I didn’t get to spend as much time with the game as I wanted in order to fully understand all of the mechanics and how the teams work. I mean, come on, the game's even got emotes! What’s not to like? Oh well, I guess I will just have to wait for the release date to continue my Overwatch journey. Overall, my experience at PAX East was extremely satisfying. I got to play and test some pretty amazing games and talk with a few game designers and developers. Maybe next year, Square will bring some consoles in for Final Fantasy 14 players like myself to shine.